Trump Won’t Rule Out Pardons Despite Advice From Wary Advisers“I don’t want to talk about pardons now, but I can say it’s so sad on so many levels,” Trump told Hannity Wednesday. Report: Michael Flynn Owes Around $5 Million in Legal FeesFlynn, who plead guilty to lying to the FBI, already put his Virginia townhouse on the market for $895,000, almost a fifth of his reported legal fees. Turkey Reportedly Seeks Arrest Warrant for Knicks Center Enes KanterKanter says he fears he’ll be extradited or even killed for criticizing Erdogan and backing Fethullah Gulen, an exiled cleric living in Pennsylvania. Texas GOP Activists Fight to Purge Local Official Because He’s – Gasp – MuslimIf you feed people hate long enough, they can soon become hateful. Michael Flynn’s Judge Destroys Trump’s Conspiracy TheoryLock him up. Michael Flynn to Judge: Don’t Lock Me UpFlynn’s lawyers say he deserves leniency, in part because he wasn’t warned that lying to the FBI is a crime. 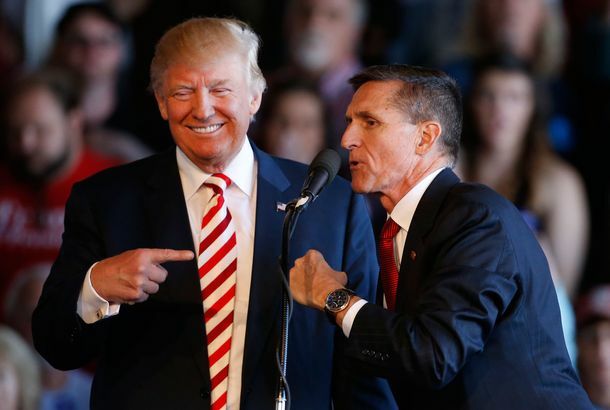 Mueller Reports Michael Flynn Is Singing Like a CanaryThe special counsel reports that Michael Flynn has given up a lot of useful information on his former Trump colleagues. Beautiful: This Former Criminal Just Got the Second Chance Of a LifetimeMichael Flynn is back in the lobbying business. Why Trump Isn’t Pardoning Allies Caught in the Mueller Probe — YetHis recent pardons may be a signal to figures like Michael Flynn and Paul Manafort, but don’t expect him to try the risky maneuver anytime soon. 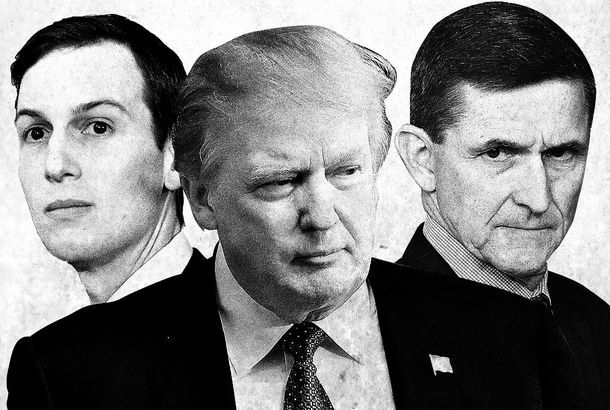 Photos: Remembering Trump’s Russia Probe MartyrsA fresh look at the over-idealistic Trump staffers whose “young and beautiful lives” have been shattered by that brute, Robert Mueller. Michael Flynn’s Comeback Is OnTrump’s disgraced former national security adviser has emerged on the conservative speaking circuit. If Flynn Is Just a Liar, Why Did Trump Keep Defending Him?There’s a flaw in Team Trump’s reported plan to attack Flynn’s credibility: basically everything the president has said about his former adviser. Report Suggests President Trump Told Michael Flynn to Lie to the FBIIf Trump authorized lying to the FBI, Robert Mueller can nail him good. Every Shady, Possibly Illegal Thing Michael Flynn Has Been Accused OfFrom plotting to kidnap a Turkish cleric to talk of “ripping up” Russian sanctions, the allegations go far beyond misleading the FBI. Michael Flynn Promised Ex-Partner That Russia Sanctions Would Be ‘Ripped Up’The former national security adviser was working behind the scenes to make sure his friends got rich. Flynn Will Roll Over on Kushner, Pence, and Trump Himself If He Has ToFlynn has signaled that he won’t take a bullet for those who haven’t done a thing for him or the country. Did Trump Just Incriminate Himself by Saying He Knew Flynn Lied to the FBI?Maybe. Trump Claims He Isn’t Worried About Flynn Guilty PleaThe president repeated “no collusion” three times when speaking with reporters on Saturday. Report: Kushner Told Flynn to Sabotage U.S. Policy With Russia’s HelpFor Israel’s sake. Charging Flynn With Lying Shows That Mueller Is Still Only Getting StartedThe best — well, worst — is yet to come for the Trump administration. It’s Been a Banner Day for Donald TrumpA brief summary of a day of dysfunctional government. Michael Flynn to Plead Guilty to Making False Statements to the FBIHe admitted that Trump administration officials directed his contact with Russians. 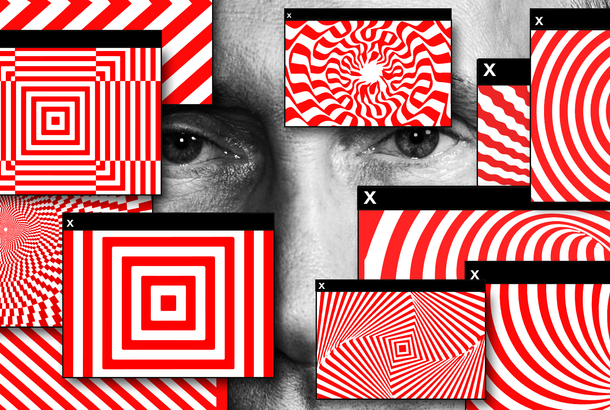 Cambridge Analytica Denies Working With Russia, UnconvincinglyThe most overlooked channel of Trump-Russia cooperation comes into clearer focus with new reporting. Mueller Seems to Be Closing in on Flynn — and the Indictments Could Be ExplosiveReports of a $15 million kidnapping plot have only raised the stakes of the investigation for the Trump White House. Report: Mueller Has Enough Evidence to File Charges Against FlynnBut it’s not yet clear when, or if, the indictments will come. What We Do and Don’t Know About Mueller’s Impending IndictmentThe Russia investigation is poised to enter a whole new phase. Like Father, Like Son: Michael Flynn Jr. Reportedly a Subject in Russia ProbeThe amateur Pizzagate investigator has drawn the interest of professional investigator Robert Mueller. White House Aides: A Cabal of Islamists, Marxists, and Bankers Is After TrumpThe deep state, GOP, and media are in on the conspiracy, according to an NSC memo — which multiple White House officials have defended as correct. Now We Have a Road Map to the Trump Campaign’s Collusion With RussiaA series of explosive reports form a pretty clear picture. Report: Russian Hackers Discussed How to Get Clinton Emails to Mike FlynnA GOP opposition researcher says he tried to obtain missing Clinton emails for Flynn — and intelligence reports support his tale. Democrats Say Flynn Didn’t Disclose Middle East Travel on Russia Nuclear DealThey want to know why Flynn omitted information from his security clearance forms, which may be illegal. 9 Quick Takeaways From James Comey’s Testimony About President TrumpThe former FBI director just confirmed that Trump repeatedly tried to compromise the independence of federal law enforcement. 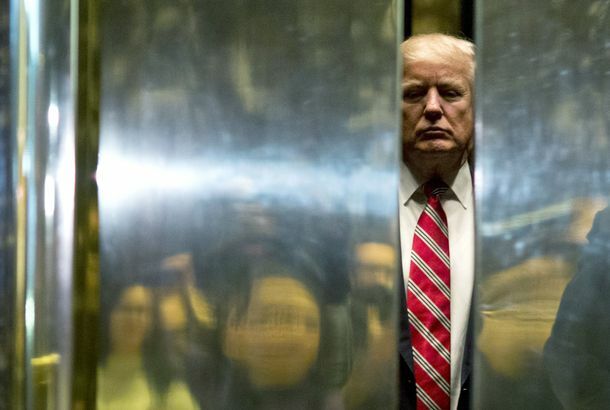 3 FBI Officials Prepared to Corroborate Comey Testimony on Trump MeetingIf James Comey’s Senate Intelligence Committee testimony boils down to his side of the story versus Trump’s, he’s bringing some FBI backup. House Intel Committee Subpoenas Trump’s Longtime Lawyer and Michael FlynnThe committee issued seven subpoenas Wednesday: four related to the Russia investigation, and three concerning the “unmasking” controversy. Poor, Poor Michael ‘Lock Her Up’ Flynn Is Being Treated Like a CriminalConservatives are rallying to the defense of a very bad man. The House Intel Committee Is Planning to Subpoena Mike FlynnThe former national security adviser is highly sought after on Capitol Hill. Flynn Misled Pentagon About Russia Payments, Top House Democrat SaysIn December 2015, Flynn accepted $45,000 from a Kremlin-backed media company. Two months later, he denied receiving any foreign income. 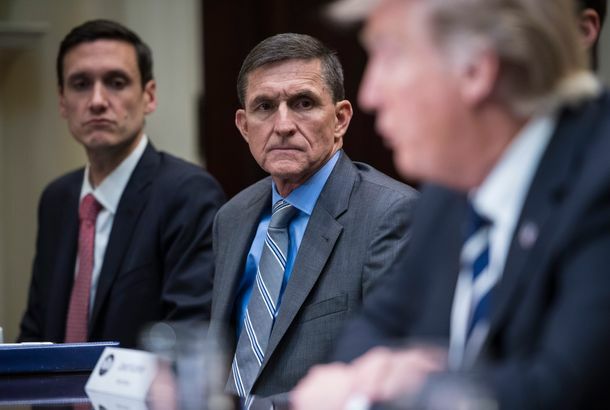 Michael Flynn Pleads the FifthTrump’s former national security adviser will invoke his Fifth Amendment right to silence on Monday and refuse to honor the Senate’s subpoenas. Trump’s Russia Scandal Is Becoming a Corruption ScandalMaking sense of the flurry of developments from the last week. Trump Tells Flynn to ‘Stay Strong’ Despite Warnings From White House LawyersAdd witness tampering to obstruction of justice on the list of potential crimes committed by Trump.